Local radio show this weekend announced that , per BassPro, Zman pearl scented swimbaits are outselling Gulp. I can attest, I cannot remember when I last used a gulp shrimp. The Zman has been my go to lure for a while. Does it smell as bad as gulp? I'll have to give those a try next time I go to the candy store. Has an odor, but not anything like gulp. Just keep them in their own container, if they are mixed with any other plastics, they will melt together after some time. Saw a show the other day, one of them there fishing shows and the dude was using a Z-man TRD Tube, watermelon (in Tampa Bay), rigged on a bullet or ball jighead burried in the tube, slaying the Redfish on the flats in grass and potholes. Was by BPS, Dania, today but they don;t have them yet.. they had many other styles in an area of the salty soft baits, picked up a few Lil Johns by MiroLure, also had some Z-man Chatter baits in the fresh sections by the spinner baits, and then by the Senko's they had some short little (3") things Finesse TRD's that the sale guy said were TRD'd.. he said he never heard of the Tubes and just thought TRD meant turd cause that's what the things looked like. Was juz about to check fleabay... stocking up for Tampa trip next week, have to go for his second kid baby shower, but he's going to take me in the Pathy fishing one day, not sure if offshore or in the bay depends on water.. not sure if Red-Snapper and Grouper are open there they have some weird season for Red Snapper this year and if its open I'd like to get a cooler full, limit. of snapper, but if in the bay I want to be prepared. The Pearl/white/glow works well in Choko, but in Tampa Watermelon and darket colors seem to be the ticket. 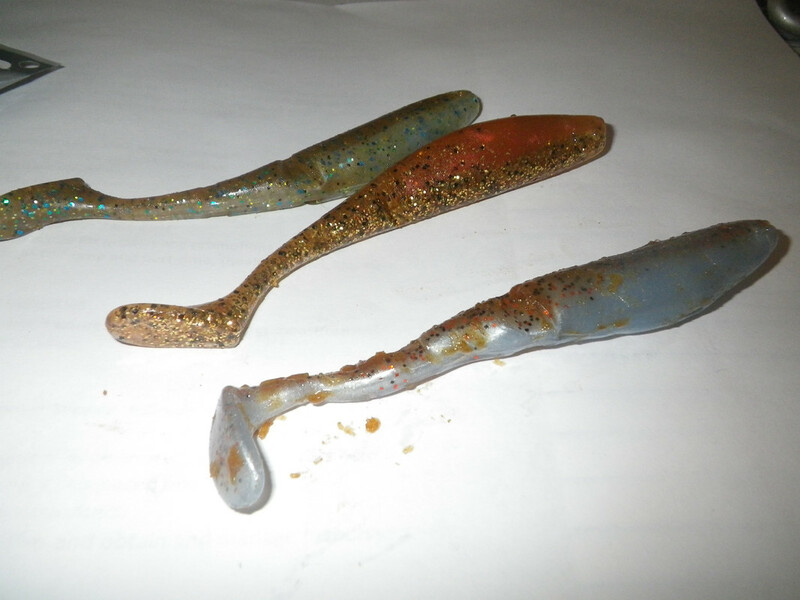 Sailor, or others, have you tried the Z-Man Jig Head ? Wow, are you kidding me.. Z-Man online charges $8.95 shipping for orders 0-$25.00.... the fleabay sellers are $2.29 per package but will combine shipping on multiple items. I know shipping is a pain, but local retailers don't have the size and colors I want. Just got my latest paddlerz in: New Penney, Blue Claw, and Pinfish. Look out fish. I can't seem to use jig heads of any design, due to shallow water and grass in the areas I fish. I need to always go weedless. Yes but $8.95 is robbery... BassPro has free shipping to a store for pickup, but they are 5-10 biz. days on their shipping. Most retailers don't carry the 5" ones, which, IMHO, are the best, due to the ability to take 4/0 and 5/0 weedless hooks.